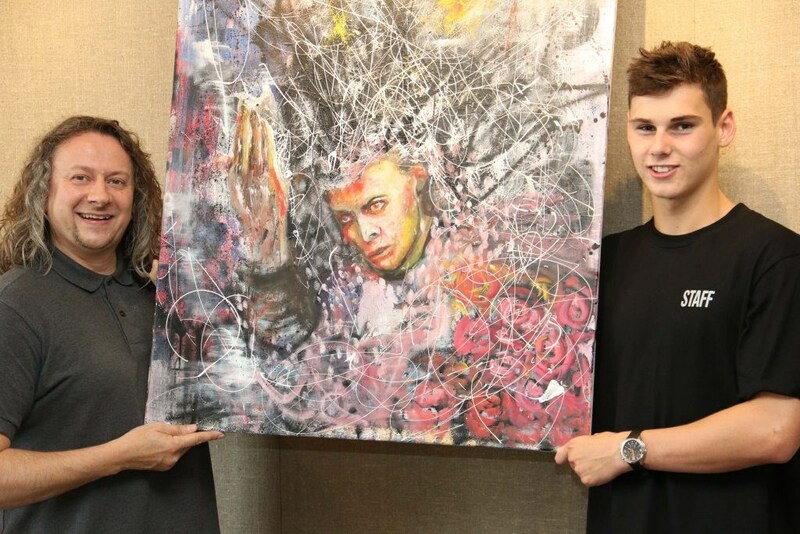 A young artist has overcome his colour-blindness to good effect with a kaleidoscopic portrait of an English icon. 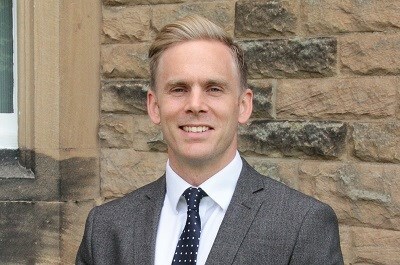 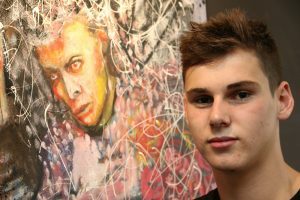 Barnard Castle School leaver Tom Leeming has earned himself a week’s exhibition space in one of the country’s most-loved galleries. 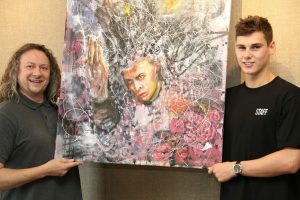 His painting of pop superstar David Bowie is on show in Gallerina, Darlington, before it takes pride of place with its new owner, who spotted it at another exhibition.